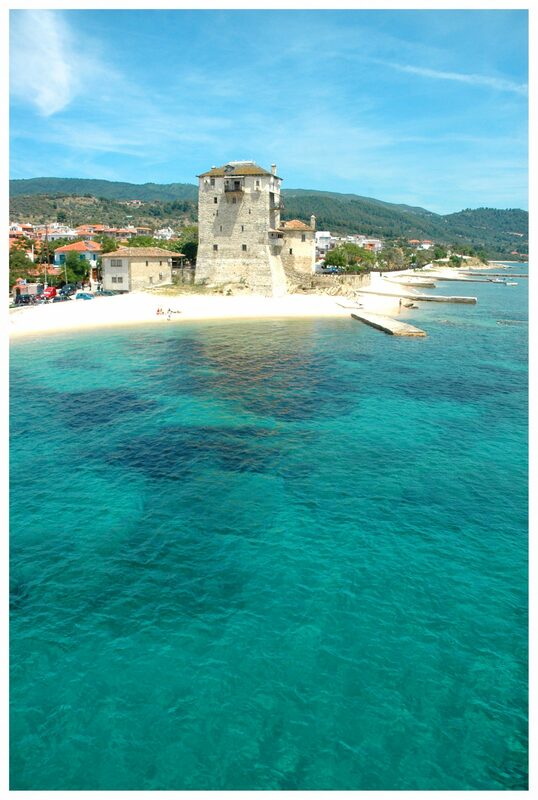 The tower of Prosforio is the landmark of Ouranoupolis located next to its harbor. 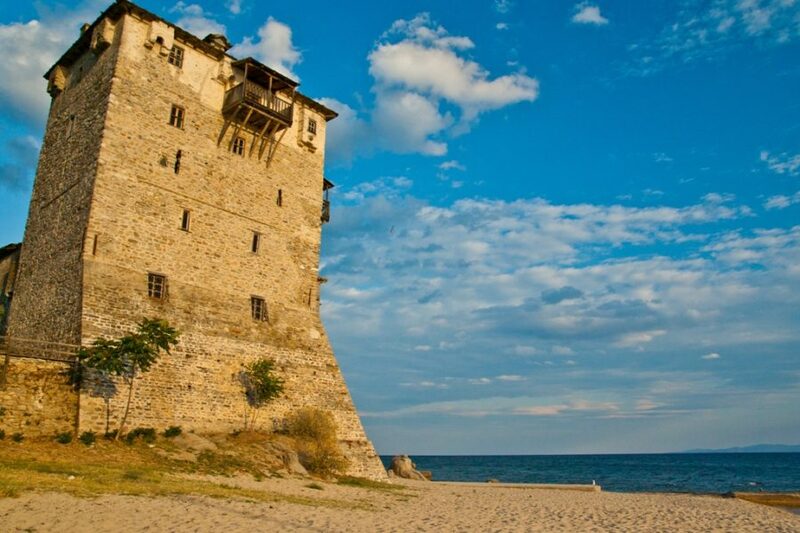 It's the largest and best-preserved tower in Halkidiki built in the 14th century for the protection of the Monastery Vatopediou in Mount Athos. 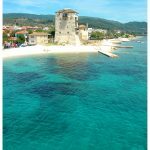 Among the most remarkable features of this tower is the diversity of its construction as it has been through at least three main structural-historical phases. 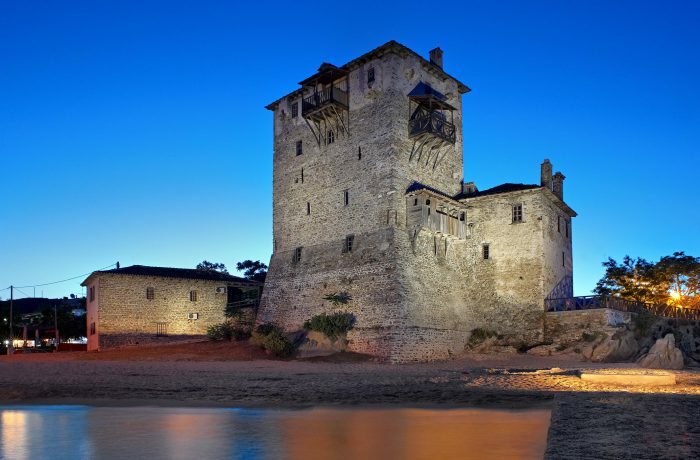 The Byzantine phase (11th-12th century) where the first floor was constructed, the Ottoman phase (1585) where three more floors were added and the interior which is made of wood and it’s dated in the 19th century.